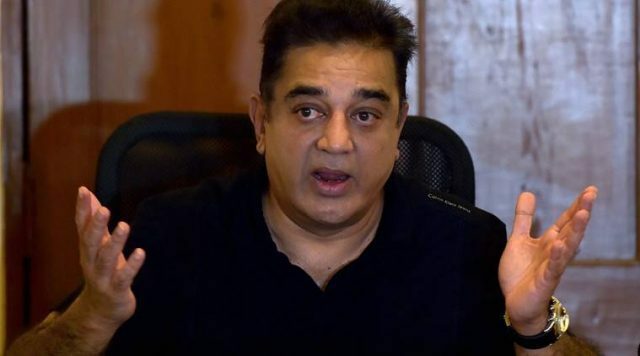 Haasan also stated that he will not be joining any existing political party. Kamal Haasan is arguably one of the most outspoken individuals in Tamil cinema today. And, these days, he has been in the news because of his impending entry into the world of politics. In fact, just yesterday, he met Delhi CM Arvind Kejriwal and said that he was willing to support him in his fight against corruption. Now, Haasan has made a big statement about his entry into politics. During a recent chat with a leading channel, the veteran actor addressed the possibility of early elections in Tamil Nadu and said that if elections are held in the next hundred days, he will ‘be there’. He went on to take a dig at the ruling state government and said that that current situation is similar to a ‘forced marriage’. “This is a forced marriage… The bride, that’s the people of Tamil Nadu, wants to be out of the marriage. If there is election in 100 days, I will be there,” said Haasan. Besides this, he made it clear that he will not be joining any existing political party. He went on to add that he will be fighting the battle alone. “I am not going to do business with any of them. I will go alone,” said Haasan. Well, these are some strong words and are bound to ruffle a few feathers. On a related note, Haasan is currently busy hosting ‘Bigg Boss Tamil’. The popular show has become a rage amongst fans courtesy the star’s hosting style.